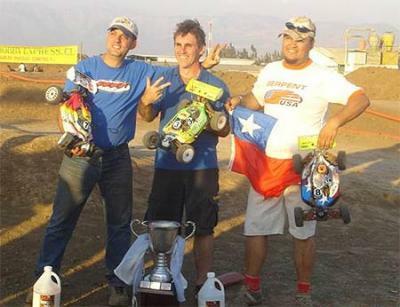 Yesterday we wrote about the South American Championships that were held near Santiago Chile last weekend that was won by Argentinian Mugen driver Adrian Castro, and today we have some videos from that hour long A-main race. These videos have been produced and uploaded by Pato Concha, who himself finished 3rd in the A-final, and they have been split into 5 videos from the main final with the first part showing above and the other 4 parts showing below. 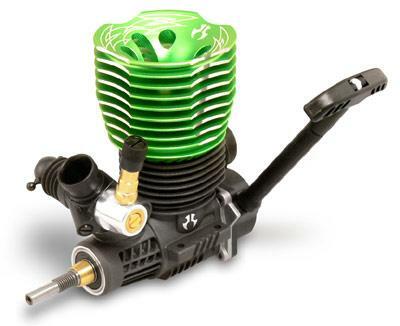 Axial Racing have announced the release of their 28RR Spec 1 Engine that is suitable for truggies and monster trucks. The 28RR is designed to rev higher while still maintaining superior levels of torque and the rather nice cooling head helps to lower center of gravity as well as increase cooling capacity. The 28RR Spec 1 is a .28 cubic inch big block engine featuring a machined cast aluminum heat-sink head for extra cooling, dual bushing aluminum connecting rod, true ABC chrome sleeve construction for durability, and a three needle 9.0mm slide carburetor (including 8.0 & 8.5mm optional venturiâ€™s) with a composite body for better performance at higher temperatures. The carburetor features a factory re-set line on the high speed needle, and flush needles making re-setting, to baseline factory specifications, quick and easy. Former French National champion Frederic Pain has joined Atomic Carbon to drive the S4 in this years French national series. Frederic, who was the French National champion in 2003 and 2004 and runner up last year, will be part of the French off road team that will be racing at the World Championships that takes place in Japan later this year. 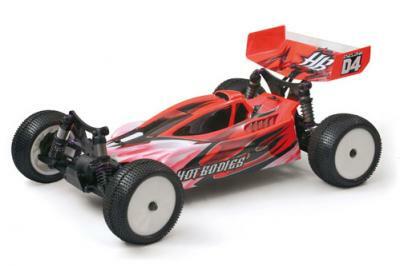 Just a quick word to say that HPI Japan have announced that the long awaited Hot Bodies Cyclone D4 4wd buggy will be shipping in April, so expect to see in your local hobby shop or online store in the next couple of weeks. As well as announcing the cars release HPI Japan have also shipped some optionals for the D4 like a 1.2mm anti-roll bar instead of the kit 1.4mm, a high downforce wing and a front one-way axle. Last weekend saw the biggest off road race in Chile for this year when the country played host to the 2007 South American Championships at a track in Santiago. The race saw competitors from Brazil, Chile, Ecuador, Peru, Venezuela, Argentina and even some drivers from the United States, Canada and Germany, and so National pride was as important in this race as the individual result. In the end the race was won by Argentinian Mugen driver Adrian Castro with 2nd place going to Venezuelan, and pole position man, Daniel Ferreira driving a Jammin buggy, Patricio Concha from Chile rounded off the podium in 3rd also running a Jammin buggy. The RC Pro Series is going global, following their first move to the Caribbean, the top racing series in the US is now expanding to South Africa with the announcement that RC Pro South Africa will be running their own National Series for Nitro Offroad, similar to the series in the US. 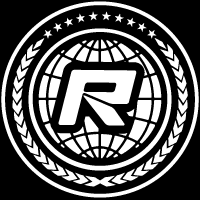 Members of RC Pro SA will be full RC Pro members and be eligible to compete in any RC Pro event and together the Series organisers are working on plans for a World Finals in the future. 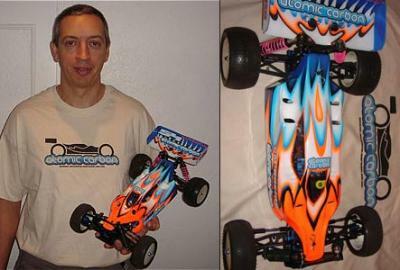 The first RC Pro South Africa event is this coming weekend hosted by Avion RCX in Kempton Park. The board of directors for RC Pro South Africa are working feverishly to put everything together for a live broadcast of this event. We will keep everyone informed of start times etc as soon as they have everything setup. You can view the series flyer here and read more about it here. 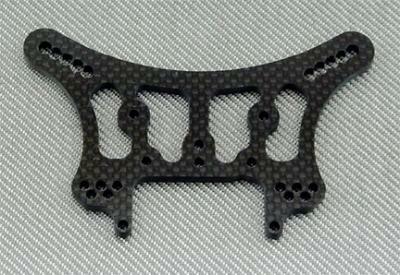 Xtreme Racing have released these attractive and functional carbon fibre parts for the ultra popular and competitive Losi 8ight and 8ight T. First off is this shock tower, shown above, that is for the rear of the Losi 8ight buggy and is made from 4mm carbon fibre and sports an extra hole for more adjustment. Also available are a set of 2 carbon brake discs that are suitable for the both the buggy and truggy whilst for the truggy, Xtreme have released front and rear 4mm shock towers for weight savings, strength, looks and more adjustment. Xray have published a warning for their new XB8 EC kits that recently shipped. 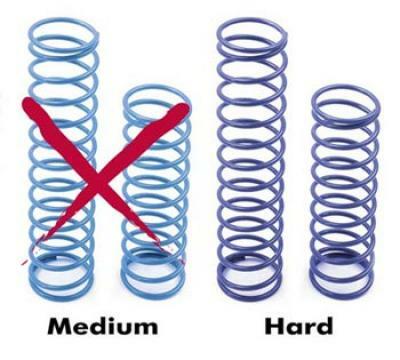 Apparently the light blue coloured shock springs supplied with the kit are not the correct springs and are in fact are dark blue springs with the incorrect colour coating, so be warned. The Light-Blue shocks springs (#358095) which are included in the kit are NOT the light-blue springs. By a mistake in the color coating process the Dark-Blue springs (#358096) were coated with Light-Blue color. Therefore the springs which are in the kit, despite they have Light-Blue color, in the reality the characteristics and the springs are Dark-Blue. We suggest to use for the basic set-up either the White springs or the correct Light-Blue springs from the XB8 or XB8TQ kit.